“As any parent knows, kids love playing pretend,” points out Maggie Storino, the parent behind Don’t Call Me Oscar, a site in which her kids stage scenes from Academy Award®-nominated films. There is no better proof of this maxim than Halloween during which kids of all ages don outfits of all shapes and sizes, including many characters from Focus Features films. 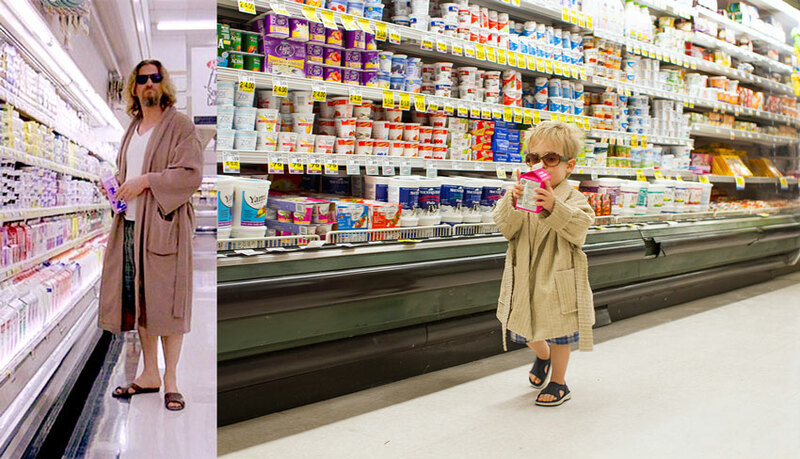 To celebrate the pleasure of playing pretend, we are profiling two masters of dress up to see how they and their kids remade iconic characters and unforgettable scenes in children sizes. From Moonrise Kingdom to Darkest Hour, these kids give their own special spin to some of our favorite films. The idea of Maggie Storino’s photo project Don’t Call Me Oscar—which has become an Instagram sensation, even getting written up in Vanity Fair—came to her by accident. After getting a black tutu at a baby shower eight years ago, Maggie photographed her 5-month-old baby Sloane as a character from Black Swan. “Because it made our friends laugh, we tried it the next year,” recalls Storino. 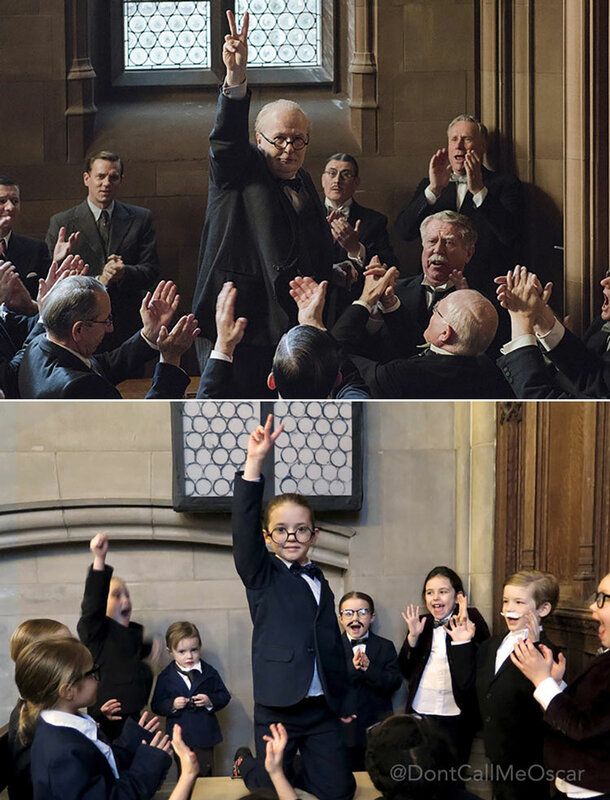 “This is simply a fun way for our kids to spend the Chicago winter.” In recreating a crucial scene for Darkest Hour, the kids had a blast “because they could be rowdy in a church” (that doubled as the British House of Commons), Storino remembers. To incite such fervor and enthusiasm in her pint-sized cast, Storino asked them to remember how they felt when the Chicago Cubs won the World Series. After practicing Churchill’s iconic victory sign for weeks, Storino’s two-year-old daughter Sloane was all set the play the role that won Gary Oldman an Academy Award®. Unfortunately, on the day of the shoot, she kept getting the number of fingers wrong. Luckily her understudy, sister Sophia, “happily donned the Harry Potter glasses and stepped in as Churchill,” recalls Storino. Sewing blogger Kristin wove together her love of film and fashion to create a costume site for kids with the friend Jessica (whose posts can be found at A Little Gray). “We love movies and just thought it was a fun and inspirational design challenge that made us smile,” explains Kristin about the reason they started Film Petit. One movie she loves is Wes Anderson’s Moonrise Kingdom. “The colors and design of the movie really inspired me,” says Kristin. After turning to oliver + s for the base patterns, Kristin finished the costumes adding piping, patches, epaulets, and the capelet for Suzy's coat. “The details matter most in conveying the feeling of the film,” explains Kristin. 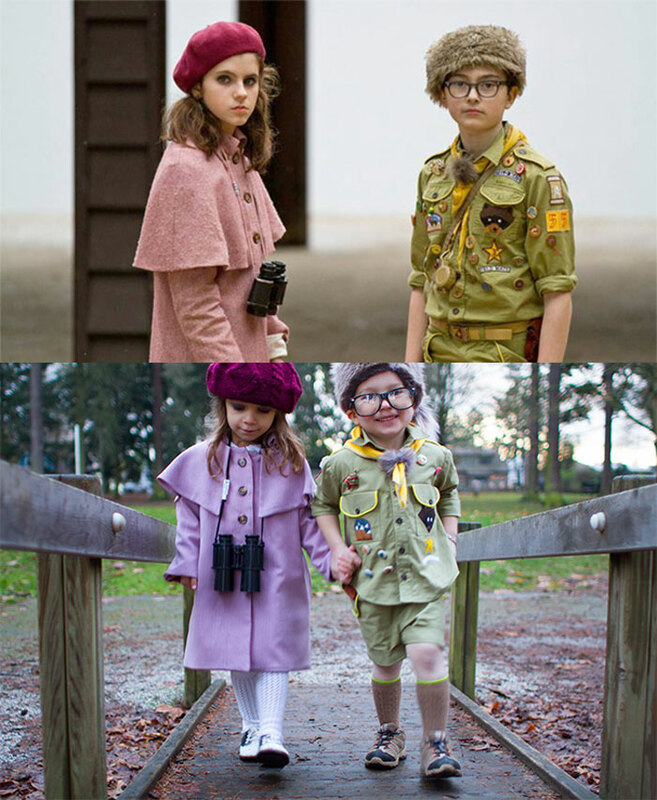 “I tried to be as accurate as possible and not cut corners.” With her daughter and nephew (both four-and-half-years-old at the time), Kristin recreated the magical romance of Suzy and Sam in a petit size.